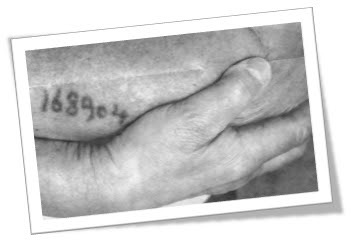 Silvia touched her mother and asked, “Mama, what is this on your arm?” Her mother replied, “It’s a number.” Still curious, Silvia probed deeper as to why she did not have a number. Her mother explained the number was intended for evil, but when she looks at it now, she’s reminded of how a giving heart saved her life. Before Hitler began his invasion, Silvia’s mother was just a teenager, living in Poland with her parents. As a daughter of a Rabbi, she experienced the art of giving on a daily basis. Throughout the countryside, people in trouble knew they could find help from the Rabbi. One night a woman knocked on their door. She was cold, hungry and needing a place to sleep. It was very late but the Rabbi and his family took her in and met her needs. The next day she left their town and never came back. Years later, the Rabbi and his family were captives in one of the Nazi concentration camps. Silvia’s mother, a young woman now, had been separated from her parents and was uncertain of their whereabouts. For the first time she was without her family and frightened of what tomorrow might bring. She witnessed man at his very worst. Every morning, the Nazis would herd people in a line at gunpoint and insisted they stand at attention. This process was called “Line Up” and those who were unable to stand were shot and killed. This kind of torture and many others went on day after day. Silvia’s mother said she had been taken from her parents weeks ago and fears the worst about their fate. The woman from the Red Cross saved Silvia’s mother’s life by negotiating with the Nazis that day. Unfortunately our champions, the Rabbi and his wife, never made it out of the camp alive. Listening to an older Silvia Rubenstein recount this story, while we were discussing starting a nonprofit, moved me to tears. She said, “Todd, these were my bedtime stories. I grew up hearing about how my mother survived the evilness of humanity.” I thought to myself, shame on us, how can we be so terrible? Little girls should fall asleep to stories of princesses and fairytales and not the horrific images of man. Like her mother, Silvia understands their family survives today because of the way the Rabbi approached life. Therefore, she rejects a bitter-filled life of hate and embraces the sweet taste of forgiveness, kindness, and good. This decision honors the Rabbi and his wife by continuing their legacy of philanthropy. You see, being an instrument of Good promises an unpredictable and astonishing seat in the orchestra of life. It always reminds me the piece I perform is just that—only one part in an amazingly greater good at work. The “Astonishing Layers of Good” reach visible and invisible dimensions. They touch this life and the one after. They are impossible for us to fully comprehend making them beyond our understanding. We cannot see their entirety, nor can we manipulate them. We only have the evidence of their existence. Pursue goodness with all that is within you and be assured its reach will transcend your mere mortal expectations. Crumbs from the rich would feed the poor.